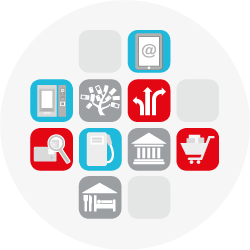 Ingenico ramps up its transformation: acquisition of Bambora. H1 2017 Trading update. 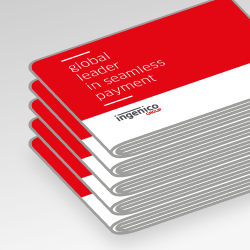 Ingenico Group, (Euronext: FR0000125346 - ING), global leader in seamless payment, today announced the acquisition of Bambora, a fast growing player in payment services, from Nordic Capital for a total consideration of €1.5 billion. The transaction will be fully financed through available cash and debt. The financial leverage will remain below 3x EBITDA leaving Ingenico flexibility for future M&A. Bambora is an excellent example of entrepreneurial business innovation, and yet another great Swedish unicorn leveraging strong local tech capabilities to create a global digital leader. Bambora is the result of a strong vision based on deep insight into the market, followed by fast and innovative execution by the management team that I would like to thank for their dedication and exceptional work. With Ingenico Group as new owners, Bambora will be able to further leverage its technology platform and strong team within Ingenico’s footprint for even faster growth and expansion.” says Fredrik Näslund, partner, NC Advisory AB, advisor to the Nordic Capital funds. In the first half of 2017, revenue totaled €1,222 million, representing an 8% increase on a reported basis, including a positive foreign exchange impact of €12 million. 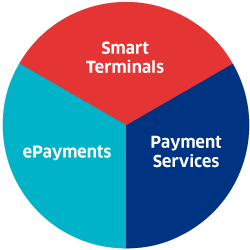 Total revenue included €832 million generated by the Smart Terminals and €390 million generated by Payment Services. On a comparable basis, revenue was 5% higher than in the first half of 2016, a result that included a 3% increase in Terminals and an 11% increase in Payment Services. Our new organizational framework is now in place. In H1, the Retail Business Unit reported a revenue of €516 million, an increase of 5% on reported figures. On a comparable basis, the increase in revenue was 3%, driven by a good performance in ePayments but impacted by a strong terminals renewal cycle that has taken place in 2016 in Europe. The Banks and Acquirers Business Unit posted a revenue of €706 million, an increase of 10% on reported figures and including a positive foreign exchange effect of €12 million. On a comparable basis revenue increased by 7%, fueled by a strong demand in Europe and Asia despite a lack of dynamism in Brazil regarding the macroeconomic uncertainties. During the first half of 2017, the adjusted gross profit reached €512 million, or 41.9% of revenue. Excluding China, the adjusted gross profit as percentage of revenue represented 43.7% of revenue, or a 10 basis points increase compared to the first half of 2016 pro forma adjusted. The gross profit in the Terminal division grew by 5% to €385 million, or 46.3% of its revenue following a less favorable geographical mix and components’ shortages in China. 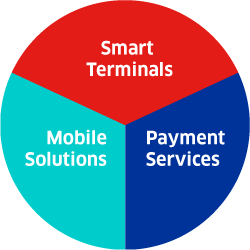 Within the Payment Services division, the gross margin rate fell by 290 basis points to 32.4% of its revenue, resulting from the current investments in our platforms and an evolution of our client and geographical mix. In the first half of 2017, the adjusted operating costs were €291 million, representing 23.8% of revenue compared to 25.1% in the first half of 2016. As discussed last February, the investments in our platforms tend to decrease all along the year as the forecasted plan has been achieved. 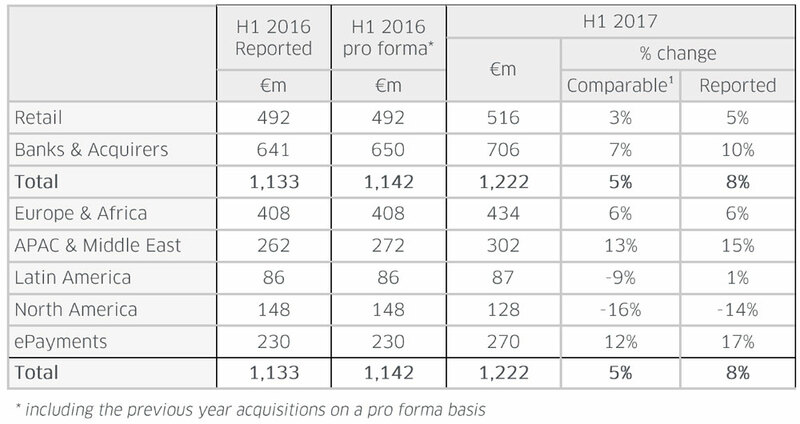 EBITDA was €244 million in the first half of 2017, equal to 20.0% of revenue compared to 21.5% in the first half of 2016. We remain confident with our full year EBITDA margin objective as H2 2017 will benefit from a better geographical mix and operating improvements. After accounting for Purchase Price Allocation and other operating income and expenses, profit from operations totaled €191 million, compared with €184 million in the first half of 2016. The Group’s operating margin was equal to 15.7% of revenue, versus 16.2% in the first half of 2016. As announced in February 2017, our new organization will enable us to optimize our operating model through higher end-to-end industrial and R&D efficiency, sharing modules across platforms and leveraging scale to optimize our costs. In that purpose, we have initiated an operational excellence plan with the involvement and commitment of all local managers. We expect cost efficiencies to reach between €20 and €25 million on a full year basis through a continuous improvement plan and efficiency in our procurements. Our operational excellence plan will be rolled out over time. 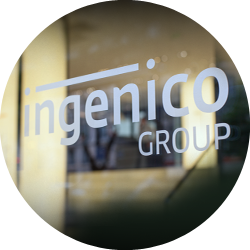 During the first half of 2017, Ingenico Group’s operations generated a free cash flow of €69 million, 8% higher than the prior year leading to an FCF/EBITDA ratio of 28.1%, an increase of 190 basis points. This improvement mainly resulted from the lower tax paid during the semester that has benefited from the geographical mix evolution. In parallel, the Group continued to invest in its activities with CAPEX amounting to €38 million. The details of the transaction will be discussed on a Group telephone conference call which will be held on the 20th July 2017 at 8.30am Paris Time (7.30am UK). The call will be accessible by dialing one of the following numbers: +33 (0)1 70 99 32 08 (from France), +1 646 851 2407 (from the US) and +44 (0)20 7162 0077 (from other countries) with the conference ID of: 962556. Download the presentation. This press release contains forward-looking statements. The trends and objectives given in this release are based on data, assumptions and estimates considered reasonable by Ingenico Group. These data, assumptions and estimates may change or be amended as a result of un certainties connected in particular with the performance of Ingenico Group and its subsidiaries. These forward-looking statements in no case constitute a guarantee of future performance, and involve risks and uncertainties. Actual performance may differ materially from that expressed or suggested in the forward-looking statements. Ingenico Group therefore makes no firm commitment on the realization of the growth objectives shown in this release. Ingenico Group and its subsidiaries, as well as their executives, representatives, employees and respective advisors, undertake no obligation to update or revise any forward-looking statements contained in this release, whether as a result of new information, future developments or otherwise. This release shall not constitute an offer to sell or the solicitation of an offer to buy or subscribe for securities or financial instruments. Preliminary unaudited financial results for the period ended as of June 30, 2017. Review procedures related to the half-year consolidated accounts have been carried out. Review report will be issued after reviewing the half-year financial report.